Many homes in America today have a space dedicated for use as a home office. With the growing number of individuals who are working from home, both full and part-time, it is no surprise that having a home office has become more popular than ever before. Just like a traditional office workspace, your home office should be a space that is organized and designed for production and success. When implementing the organization of your home office in consider Los Angeles home office cabinet systems for filing and storing paperwork, documents, and supplies that are not being used. With the variety of cabinetry options available today, there is sure to be a perfect fit for your organizational needs. Just like other spaces in your home such as the garage, or kitchen, you will come to realize that the more often you use the space; the more storage, and organization you will need. Cabinets for your home office are a great solution that will provide a clean and finished look while allowing you to maintain organization and functionality as your use of the space develops over time. Once you have selected the new cabinetry and other office furniture for your space, you can design your organizational structure to accommodate your workflow. After all, organization is not only about having a place for everything; organization is also about functionality and comfort. Check out these tips on the best ways to utilize your workspace and cabinets to stay organized. Your desktop is the space for whatever it is you are actively working on. It is important to keep your desktop clean of clutter and unnecessary or unrelated items. There are a variety of organizers, racks, and trays that can be used to organize and process any business or paperwork that is actively related to a current project. Taking a few simple steps to ensure that only the project at hand is in your immediate workspace will also help prevent any potential distractions as well as allow you to be more efficient and productive regularly. Many home office desks feature drawers of varying sizes; some are for supplies like pens, post-its and stamps while others feature hanging racks for files or other papers. Use this space wisely, just as you would any other filing cabinet. Implement the use of your desk drawers into your routine processes. Specify each usable space in your desk, and throughout your home office, based on your preferred filing systems and tasks you complete regularly. Everything you do to make it more efficient will not only reduce stress and distraction but will also make your work more enjoyable. As mentioned earlier, there is a multitude of options available to create an organized and efficient workspace by your custom home office contractor. Cabinets are a practical option if you want to keep a more modern and clean look while avoiding visual clutter. There are also cabinets available with glass in the doors so you can select these types if you have awards or degrees you would like to display as well. Shelves can also be a great way to keep your office organized, although these work much better in cabinets or closet space. 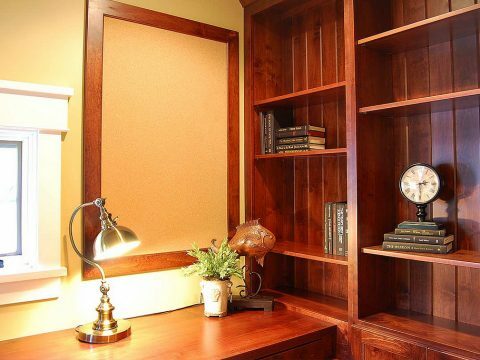 Organizers are perfect, especially if you have a smaller home office. These can allow you to diversify each space and are usually very cost-effective. If implemented correctly, they can save you lots of valuable time and money in the long run. The types of files and documents you are keeping physical records of will often be the most significant influence on the filing system you put in place. It is critical to ensure that you do not try to “overstuff” filing cabinets and drawers. Also, consider implementing a color code system using tab labels, or if you are being budget conscious, highlighters to color coordinate the different file types. Also, remember that each time a project has been completed and paperwork related to that project is no longer needed, file it away immediately. 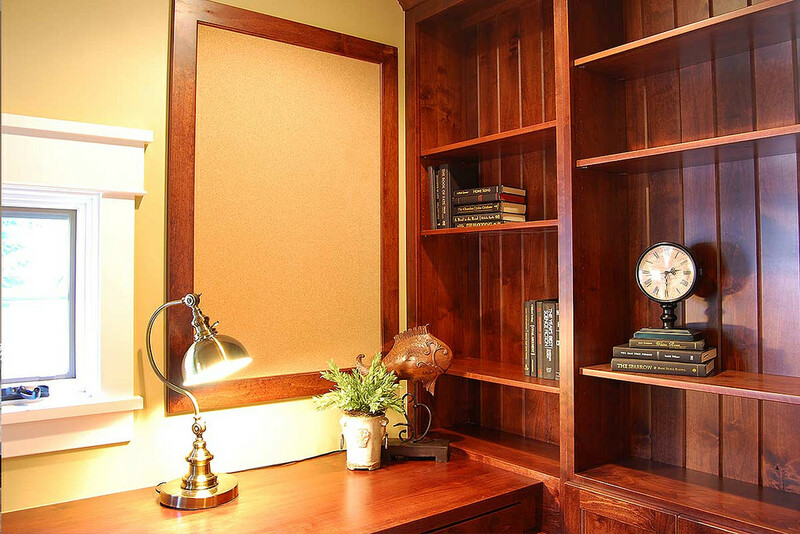 Despite the style, color, or cost of the cabinets you choose, make sure that they are the look and feel you want to bring into your home office. Prior to committing to a specific cabinet or cabinets, consciously consider the pros and cons of each style, proactively throughout the time you spend working in your home office. Taking time to make the right decision will be well worth it in the long run!